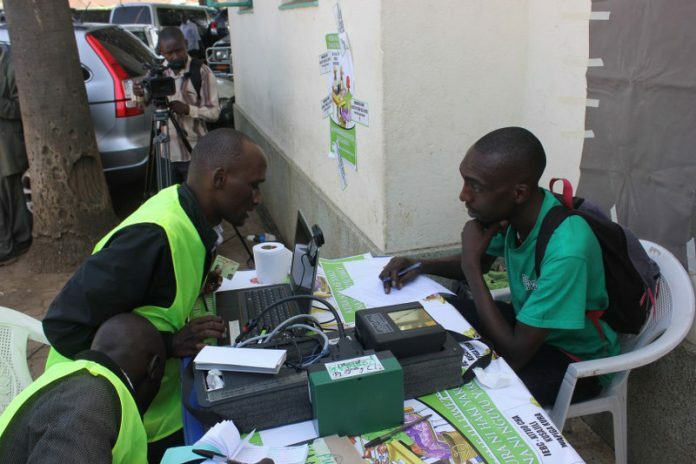 The IEBC has announced the latest voter registration numbers. According to IEBC’s new chairman, Wafula Chebukati, the leading pack in the voter registration exercise includes 10 counties. Nairobi County which has registered 182,265 new voters. Kiambu County which has registered 106,223 new voters. Nakuru which has registered 77,970 new voters. Meru County, which has registered 67,665 new voters. Mombasa County which has registered 55,967 new voters. Kajiado with 30,766 voters listed against a target of 33,282. Mandera with 16,115 voters against the 37,440 targeted. Kirinyaga with 28,306 against the target of 65,772. Murang’a with 47,497 against the target of 118,330. Narok with 24,445 against 62,632 targeted. Wajir with 10,898 voters out of the 33,477 targeted. Tana River with 8,858 voters against the possible 28,027. Garissa with 12,658 voters against 40,961 targeted voters. According to the IEBC, seven counties have registered the least number of voters in the country. For instance, Kisii registered only 31 965 voters against the 95,248 targeted. In total, only 1,539,879 have registered as voters.